NAVODAY HANDICRAFTS AND HANDLOOM DEVELOPMENT SOCIETY is located in Nalbari Assam . NAVODAY HANDICRAFTS AND HANDLOOM DEVELOPMENT SOCIETY is registered as a Society at GUWAHATI of state Assam with Ngo unique registration ID 'AS/2014/0085185' . 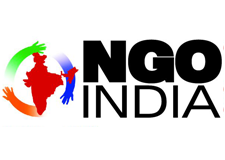 The NGO registration is done by Registrar of Societies with registration number RS/NAL/246/C/112 OF 2004-2005 on the date of 27-03-2005, Its parent ORganaisation is PaulFoundation. The Chairman of NAVODAY HANDICRAFTS AND HANDLOOM DEVELOPMENT SOCIETY is JYOTISH BARMAN and Chief functionary officer is JYOTISH BARMAN. Promoters are NABAJIT BARMAN, DIPAK BARMAN, TILAK CHANDRA DAS,. Total sanitation, Handloom & Handicrafts development activities, Environmental activities, Awareness generation programme on MGNREGA, Child labour and street children, Women development programme, Vocational training programme, Community development programme, Sports and cultural programmes etc.